A chef’s ode to grandmas’ cooking, Deseez aspires to preserve the flavours of our childhood with a nostalgia laden menu that’s made fresh and delicious when you order! After all the pastas and pizzas, it’s actually ‘desi’ food we truly crave and that’s where Deseez figures in! Everything on the menu is full of aroma with a special emphasis on Indian spices, so if you’re looking at a Netflix-and-Chill kind of menu then stick with the rolls and starters. The lamb seekh roll and the paneer lalbagh roll are the perfect balance of bread versus filling. 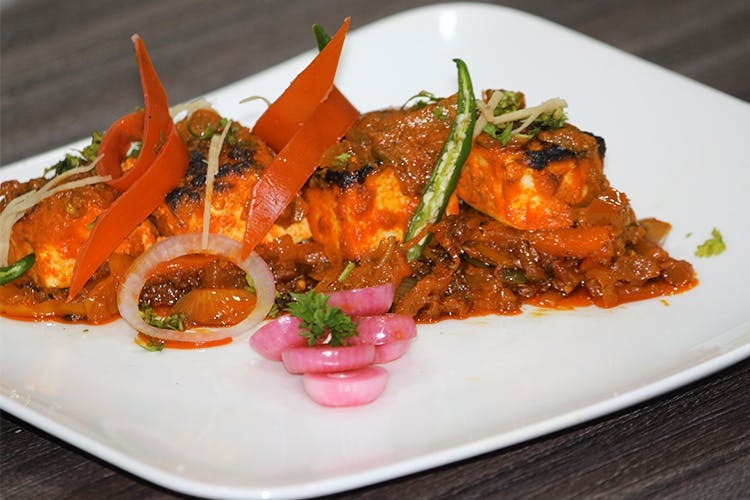 Then come the incredible selection of kebabs and tikkas from which we recommend the bharwan tangri kebab, gosht ki seekh, chapli kebab, lehsuni fish tikka, paneer til kofta kebab and beetroot galouti. This is barely half the selection and it is all good! Pair a side of dal makhni and garlic naan for a complete kebab meal. Speaking of complete meals, their biryanis qualify too. The murgh dum biryani will leave a taste you will crave for but the best part is their regional biryani selection, including chettinaadu kodi biryani and lamb vindaloo biryani which are meals in themselves! For a larger and more wholesome meal, we suggest you add a few main course dishes to your order. The portions are hearty so keep that in mind! Skip the butter chicken and go for the mutton rogan josh, quail nargisi kofta and teen mirch ka kadhai paneer and have these with the keema kulcha or the pudina parantha. Deseez has you sorted for dessert too. Finish your meal with the red velvet shahi tukra and gulab jamun cheesecake.